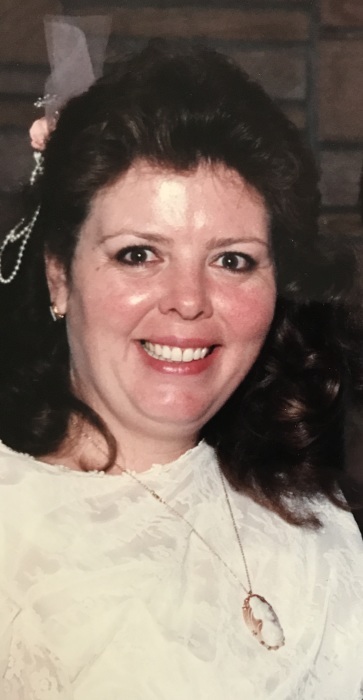 Longtime Goodland, Kansas resident Deanna Carroll Buhr, 62, passed away on Tuesday, March 26, 2019 at the Goodland Regional Medical Center in Goodland. Deanna was born in Casper, Wyoming, on October 7, 1956 to Lynn and Maralyn (Moss) Denney. She was one of seven children. When Deanna was young, the family moved to Holyoke, Colorado, where she attended school and graduated from Holyoke High School in 1974. She then went on and attended one year of Beauty School in Sterling, Colorado. On September 22, 1989, Deanna married Paul Gerhard Buhr in Yuma, Colorado. In 1992, they moved to Goodland where Deanna worked for many years as a Dispatcher for Sherman County until health issues forced her to resign. Proceeding her in death was her father, and 2 brothers; Terry and David Denney. She is survived by her husband Paul Buhr of Goodland, her mother Maralyn Denney of Holyoke, CO, her three children; Adam (Jacki) Waters of Goodland, Crystal (Jason) Garner of Hays, KS and Amanda Campbell of Goodland. She is also survived by her 9 grandchildren; Blayn Waters, Jonathan Garner, Jeremy Garner, Brysun Waters, Michael Garner, Gabriel Campbell, Nicholas Garner, Melody Campbell and Connor Campbell; one sister Lana Mekelburg of Yuma, CO, and three brothers Doug Denney of Holyoke, CO, Greg Denney of Grand Island, NE and Jeff Denney of Yuma, CO.